Painting with sponges? 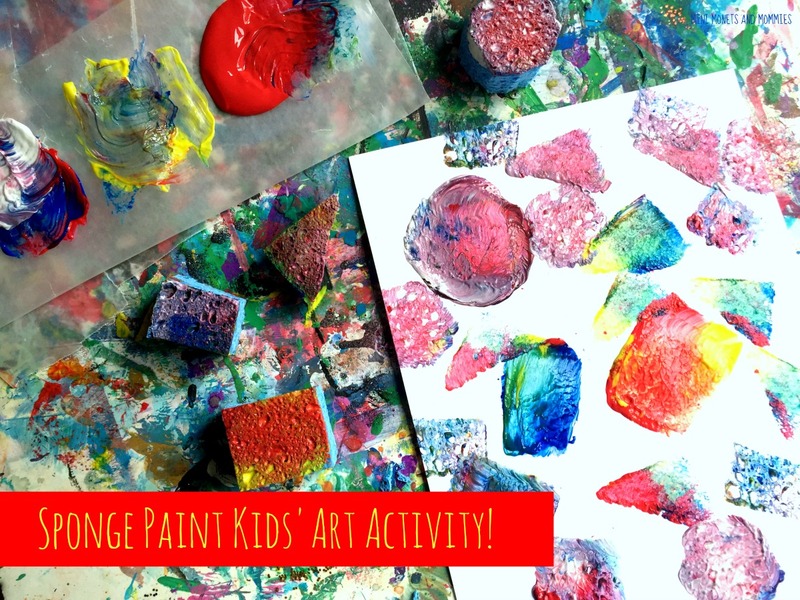 It’s not exactly breaking news in the world of kids’ art activities. That said, you don’t have to go out and buy fancy materials and you can use this easy-to-do lesson to add in other learning areas (such as shapes and colors). 1. 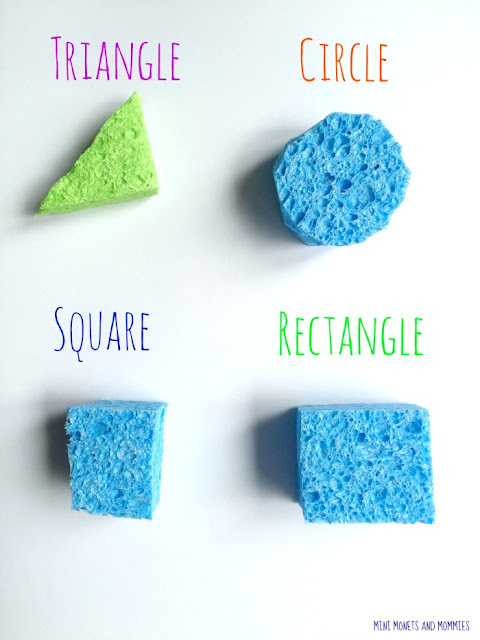 Draw a few shapes (triangles, rectangles, squares, circles) on the sponges. Use the whole sponge for one shape or divide it into a few. 2. Cut the shapes out. You can print the picture below out for your child to match the shapes and the words. 3. 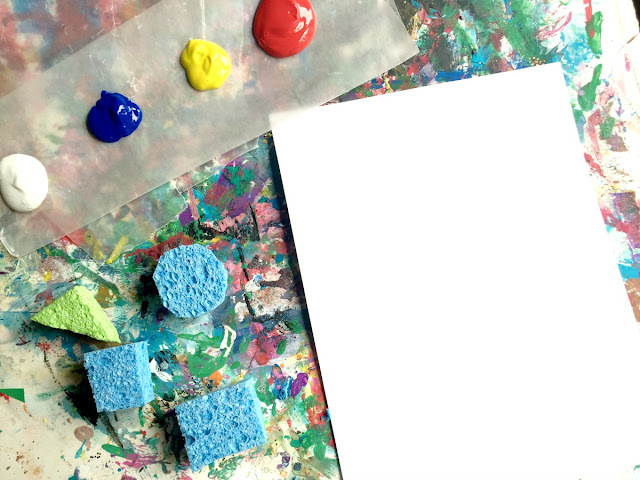 Pour the paint into pools on a palette (or use a sheet of wax paper). 4. 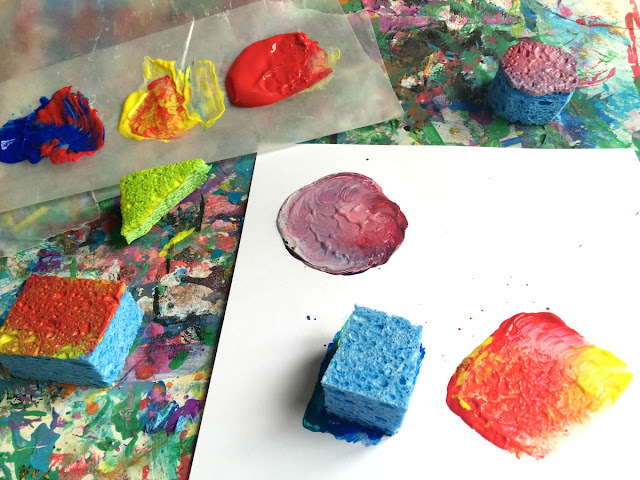 Start painting with sponges! 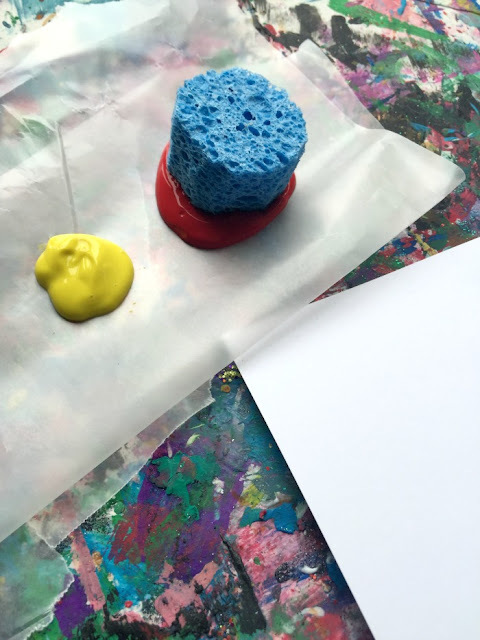 Dip the sponge into the paint. Press it onto the paper. Repeat, making multiples. 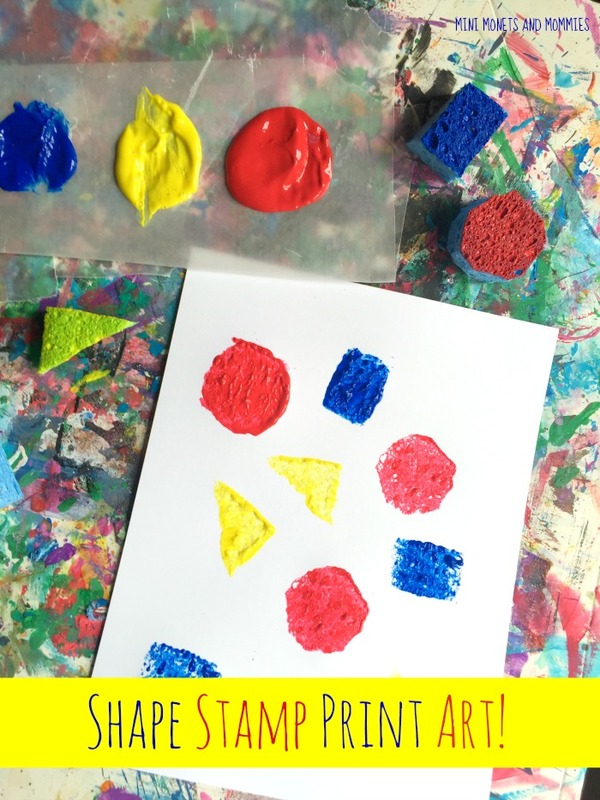 Your child can make a random abstract design, create a pattern of shapes and/or colors or make a larger design that’s made up of smaller shapes (such as a cat with circles for the face and triangles for the ears). 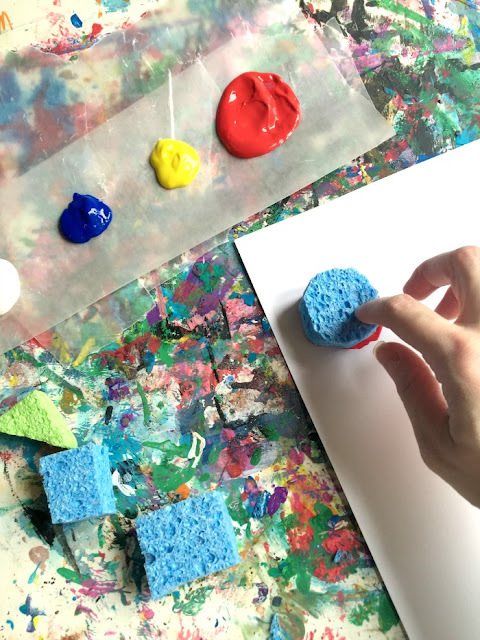 Your child already has paint on the shape sponge stampers, so don’t worry about wiping it off. 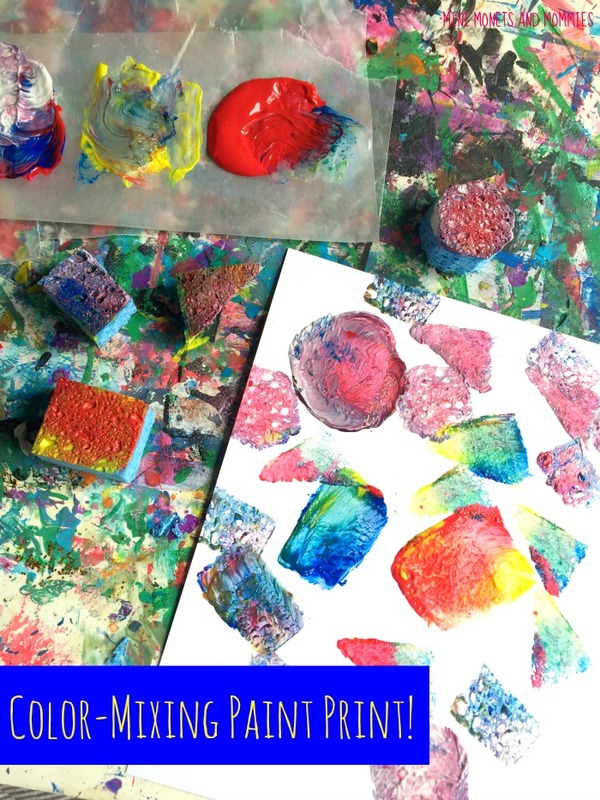 Have her dip one of the paint-covered sponges into another color. Now the mixing begins. She can continue on with this process making green from yellow and blue, purple from blue and red and orange from red and yellow. Your little artist can also add white to any of the colors to make them lighter.